This bag is so warm you may find yourself unzipping it a little on less extreme nights. But that’s okay because the four-way zipper opens from top or bottom to give just the right amount of ventilation. The luxurious flannel interior is warm from the moment you enter the bag. 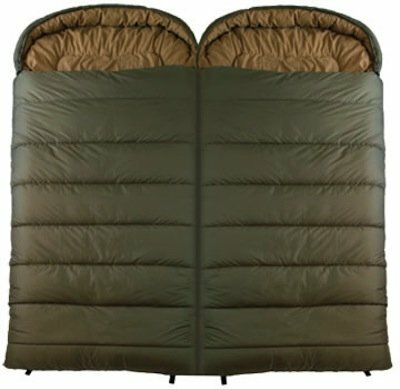 The 6.5 pounds of SuperLoft Elite four-channel hollow fiber insulation and ripstop outer shell will make you feel great about choosing to camp in the winter. The bag comes standard with shoulder and zipper baffles, offset seams, adjustable drawstring hood, interior pocket, and a compression sack big enough to hold the bag. You’ll have to work to get it in, but the bag will fit if you stuff, not roll. TETON Sports products include a limited lifetime manufacturer's warranty against defects in materials and workmanship.